A different take on the run of the mill marinated cucumbers. This is delicious and tastes even better the next day – if you have leftovers. 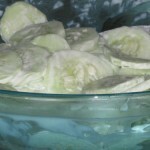 Peel the cucumber and slice them as very thin. Spread them out on cookie sheets that have been lined with some paper towels to dry out for about one hour. 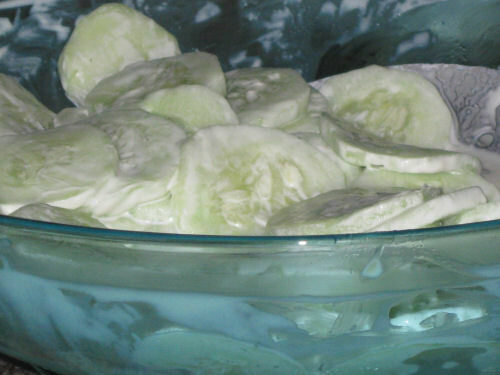 Mix all the remaining ingredients together, place all the cucumbers in a medium bowl, blend in the dressing and chill for a bit before serving.